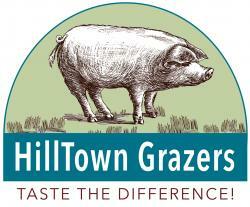 We raise heritage pigs that graze the green hills of western Massachusetts. 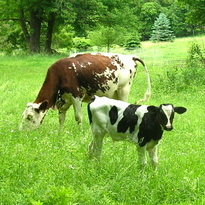 We use no commercial grains and mix a unique diet of locally sourced vegetables, grains, and dairy for our animals. We are proud to offer high quality pork products raised in a sustainable way to wholesale markets and to individuals purchasing half or whole hogs. 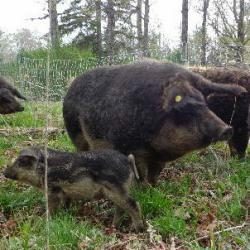 Feeder piglets available year-round and Mangalitza pigs in late 2016/2017. 6 Month Shares: Mixed cuts of pork, beef and chicken. Enrollment is rolling, join any time. Pick-ups can be quarterly or monthly. Currently in Northampton, Amherst, Greenfield, Springfield. Have a suggestion for a new location? Let us know! 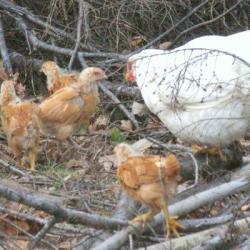 Chicken-only or no-chicken options available.